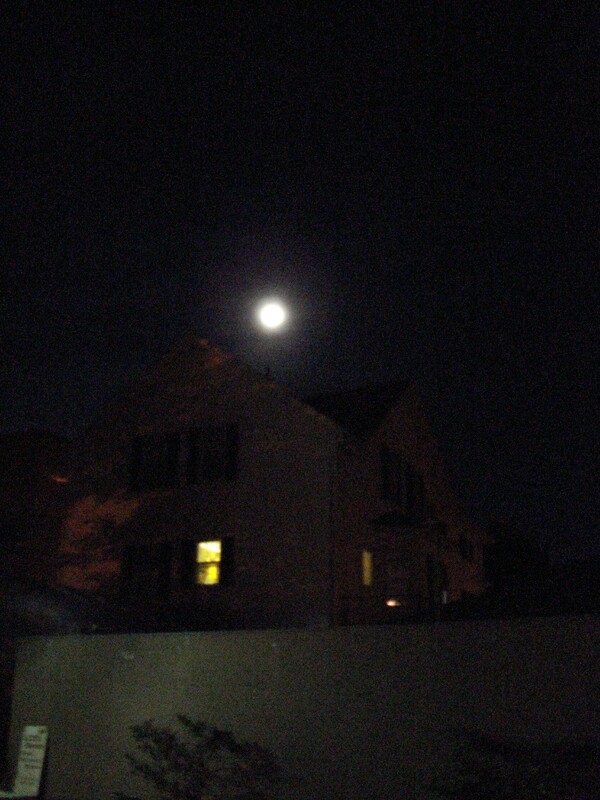 No full moon tonight over #92 Second Street. This was taken on October 27th over the barn in the back yard. But it will be creepy enough with ten brave guests spending the night at the scene of the crime. After a tour of Oak Grove, hot cider and doughnuts, a tour of the house will begin at 8, interrupted by a few fearless trick-or treaters. There may even be a seance at midnight, just in case anyone “on the other side” wishes to leave us a clue. Happy Halloween!